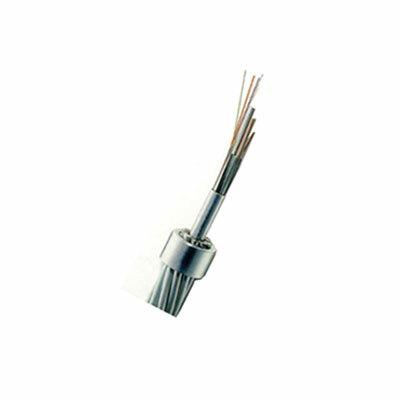 An OPGW combines a ground wire for shielding overhead power transmission lines together with optical fibers for transmission of communication signals. The OPGW outer layer is covered with metallic components whilst the core of OPGW consists of an optical unit. An economical systems is achievable because power transmission and signal transmission are possible simultaneously, by one transmission line. To give the optical fibers adequate heat resistance for use in OPGW, two types of optical fiber bundles, silicon resin type and UV acrylate type, are provided.